Highlight your brand at your next marketing event when you advertise on this terrific Timber-5 pencil at! 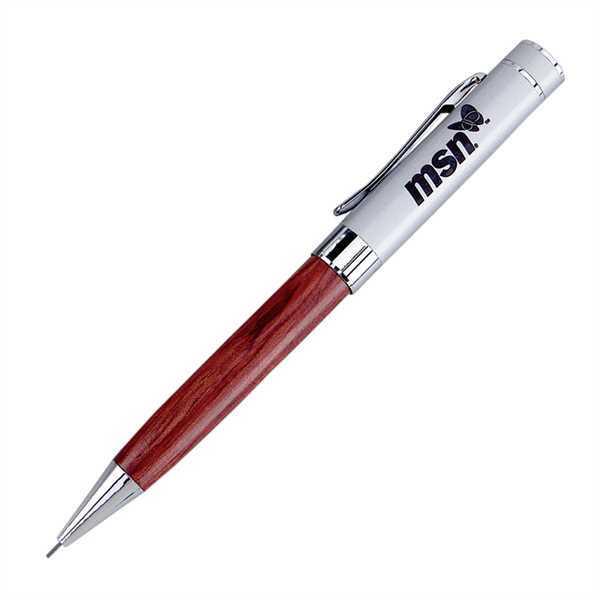 The wood-barreled mechanical pencil is equipped with 0.9 mm lead and features satin chrome trim accents. It can be customized with your name, logo or promotional message before you hand it out at tradeshows, expos, conventions and any other advertising opportunities to spread the word about your brand and services! Our imprint ink and barrel coatings are lead free. Imprint Size:5/16"H x 1 3/8"W, 5/16" x 1 3/4", 5/16" x 1 9/16", 5/16" x 1 5/8"
Price Includes: Per Color/Position plus product cost and shipping.